Tonight Downton Abbey(Penelope Wiltonco-star asIsobel Crawley) continues itssixth and final season on PBS Masterpiece with Episode 8 at 9/8c. Downton Abbey, the award-winning series from Julian Fellowes, spans 12 years of gripping drama centered on a great English estate on the cusp of a vanishing way of life. Nearly six years ago, America fell in love with Downton Abbey's Granthams and their family of servants, and has followed them through sweeping change, scandals, love, ambition, heartbreak, and hope ever since. With Julian Fellowes' crackling writing and its stellar ensemble cast led by Maggie Smith, Downton Abbey delivers wit, warmth, passion and a phenomenon that is, at its heart, utterly human. 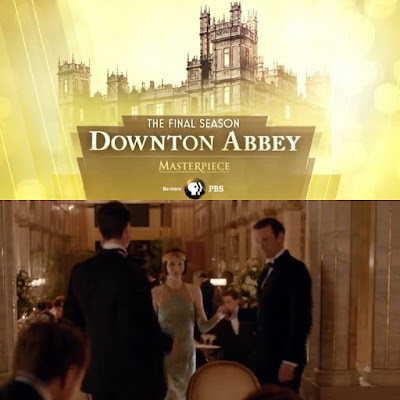 Downton Abbey's final season premieres on Sunday, January 3, 2016 through March 6, 2016 on MASTERPIECE on PBS! 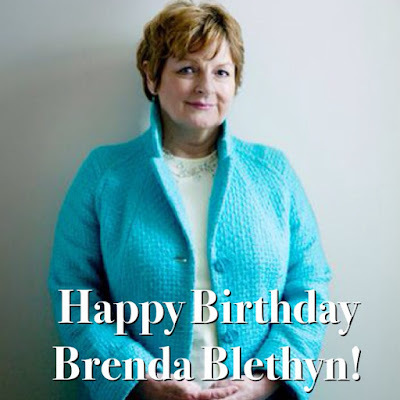 Today, February 20th, is the 70th birthday of two-time Academy Award Award NomineeBrenda Blethyn, best known to us P&P fans as Mrs. Bennet, the five Bennet girls' mother in the 2005 Pride & Prejudice film. After twenty years of hard work on stage and both television and films, there are not many other actresses who deserved the success, recognition and stardom which Brenda Blethyn has now achieved. Currently seen on ITV's Vera series, which is now on its sixth season. 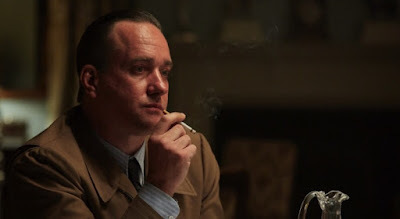 ITV has released aPress Pack (featuring a press release, cast interviews including MM, and synopsis) upcoming feature length film, Churchill's Secret starring Michael Gambon, Lindsay Duncan, Matthew Macfadyen, and Romola Garai. It will premiere on ITV on Sunday, February 28th at 8 pm. As I previously posted here, Keira Knightley(photo via Getty Images) was in talks to star in Colette biopic earlier this month and recently, she and Kate Winslet were both in talks to join Will Smith and Helen Mirren in Collateral Beauty. Now, there's a third movie casting news (and I must say a more interesting one than the previous two) for the two-time Oscar Nominee Miss Knightley and according to The Wrap, she was in early talks to play Russian empress Catherine the Great in a biopic that two-time Oscar winner, actress, singer, and director Barbra Streisand will direct for producer Gil Netter’s Netter Productions. 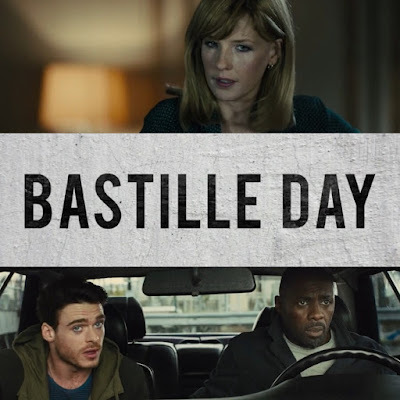 The first trailer for Bastille Day starring Idris Elba (Luther), Richard Madden (Cinderella, Game of Thrones), and Kelly Reilly(no info. of her supporting role here, but it looks like her character works for the CIA and is Elba's character's boss) has just been released online via Studio Canal (one of P&P 2005 movie's production companies). Focus Features (a distributor for P&P 2005 movie) is distributing this action thriller film. It is directed by James Watkins (Woman in Black) and will open in UK CinemasApril 22nd. No US release date yet. 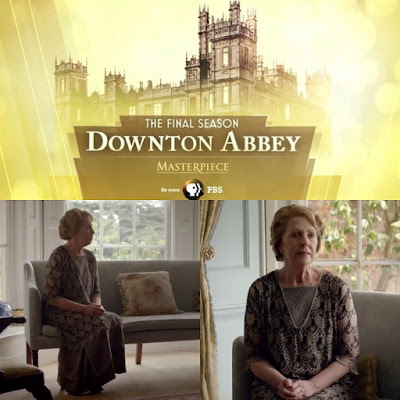 Tonight Downton Abbey(Penelope Wiltonco-star asIsobel Crawley) continues itssixth and final season on PBS Masterpiece with Episode 7 at 9/8c. 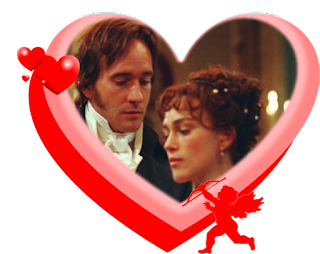 Elizabeth Bennet and Fitzwilliam Darcy are arguably Jane Austen's most beloved characters, moreover they are one of the most celebrated couples in literature. 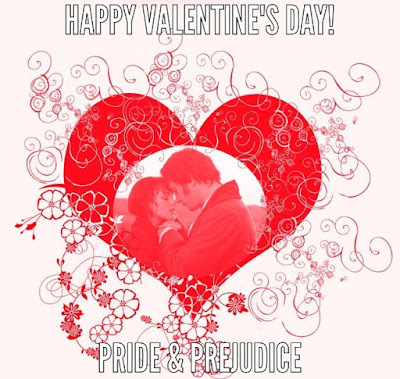 Their story of Pride and Prejudice (1813) is one of the earliest models of the classic love/hate relationship seen often in novels and specifically in romantic comedies. According to Deadline, Pride & Prejudice director Joe Wrightis set to direct an episode of Netflix's new season of Charlie Brooker's anthology series, Black Mirror with Bryce Dallas Howard and Alice Eve. Another new Jane Austenscreen adaptation to look forward to! 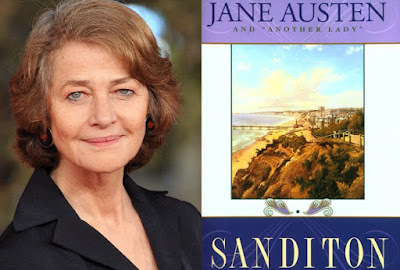 According to Screen Daily, Oscar-nominee Charlotte Rampling (45 Years) is to star in a film adaptation of Jane Austen’s never-before dramatised final novel Sanditon. FYI: Charlotte Rampling previously co-starred twice with Keira Knightley in Never Let Me Go (along with Carey Mulligan) and The Duchess movies. Earlier this month, Keira Knightleywas in talks to star in Colette biopic. Now, another movie casting news for Miss Knightley, as she's reportedly in negotiations to join the star-studded cast of Collateral Beauty, EW has confirmed. 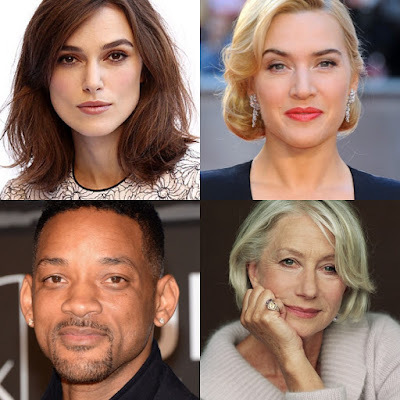 Kate Winslet in Talks to Join Will Smith, Keira Knightley in 'Collateral Beauty'. 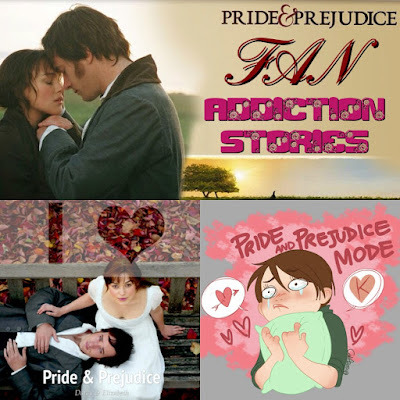 Last November 2015, the first installment of our series of Pride & Prejudice Movie: FAN Addiction Stories was posted here. A few more additions have been compiled and added here for part 2, for your reading pleasure. I hope to receive more, for next time! Please tell me how you became a devoted P&P (2005) movie fan, how many times have you seen this movie? Do you do P&P movie theme parties? Wore a P&P movie costume for Halloween,and if you have attempted in getting your families and friends hooked on watching the P&P movie. To SUBMIT your stories, please contact me, comment or message me (via facebook), tweet me or DM (direct message me if we're following each other) on Twitter or leave a comment on this post. Thank You. I will share them here as long as you keep sending them in. With Pride and Prejudice and Zombies movie now showing in US theaters nationwide (I haven't seen the movie yet, but will do very soon and post my review of it here, once I've seen it) and having seen almost every P&P adaptations ever made, I thought I'd compile and rank (from my current top favorite to least favorite) here, 7 (modern retellings/inspired of/variations) TV & Film screen adaptations of Jane Austen's classicPride and Prejudicenovel sans the 4 main standard P&P (1940, 1980, 1995, and 2005) adaptations. 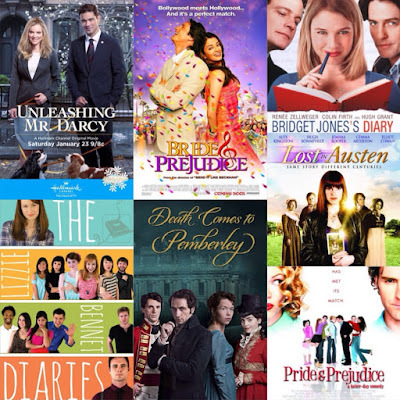 Theyare not included here on this list because this post is all about the variations and modern take aspect of Austen's P&P. I'll probably do a separate post on the standard ones (or combine both) next time. 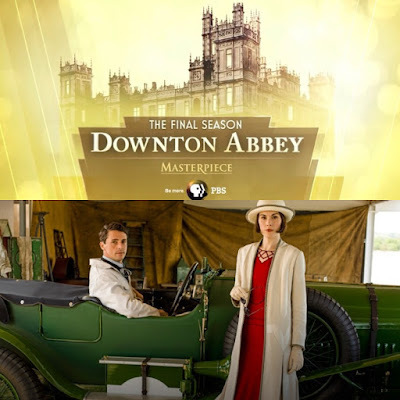 Tonight Downton Abbey(Penelope Wiltonco-star asIsobel Crawley) continues itssixth and final season on PBS Masterpiece with Episode 6 at 9/8c. 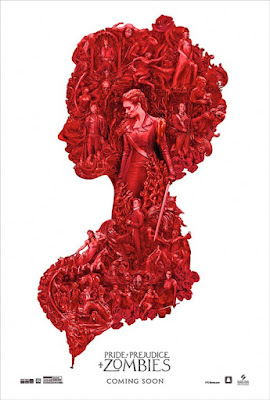 Now showing in US theaters today, Pride and Prejudice and Zombiesfilm starring Lily James, Sam Riley, Bella Heathcote, Douglas Booth, Jack Huston and Matt Smith. Whether you like it or not. Just remember, no one is forcing you to see this movie. You have a choice to either watch it or skip it. I'm going to watch it, but not this weekend, as I have too many things to do. Probably when I get the chance or have the time to go to the movies, and I'll post my review if it, after I see it. A first look of a new production still has been released (via Pathe) of Rosamund Pikewith her Jack Reacher co-star David Oyelowo in their upcoming new film, A United Kingdom directed by Amma Assante (Belle) and produced by Oyelowo. Rosamund plays Ruth Williams, a white British bank clerk and married to David Oyelowo's character Seretse Khama, a member of the royal family in Bechuanaland, a former English colony in Africa that would become Botswana. The interracial couple shocked the world in the late 1940s when they fell in love and got married. 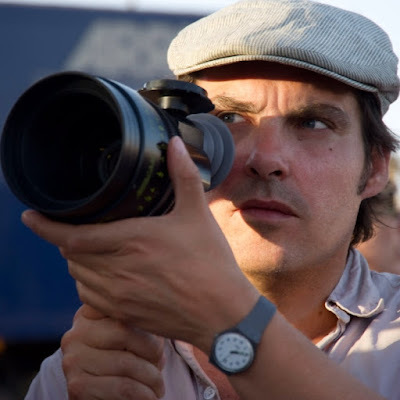 The film is slated for a 2016 release, but no theatrical release date has been set. Jack Davenport (Norrington of POTC movies), Tom Felton (Draco Malfoy in Harry Potter movies and most recently in Belle directed by Assante), and Laura Carmichael (aka Lady Edith Crawley in Downton Abbey) also star. According to Deadline, Keira Knightley(photo ^ via Getty Images) is currently in talks to star in Colette, a period biopic about the French novelist who wrote Gigi and Chéri, which Stephen Frears adapted in a feature film starring Michelle Pfeiffer and Rupert Friend. Variety reports that filming will start in May in Budapest.